In a large pot, arrange the eggs in a single layer and add enough water to cover. Bring to a boil over high heat, then cover and remove from the heat; let stand for 10 minutes. Drain, then cover the eggs with ice water. Let stand until cool to the touch. Peel the eggs, halve lengthwise and scoop the yolks into a medium bowl, reserving the egg whites. Mash the yolks with the mayonnaise, mustard and cayenne; season with salt and black pepper. Spoon the yolk mixture into the egg white halves and dust with paprika. Another use for the awesome Crinkle Cutter. 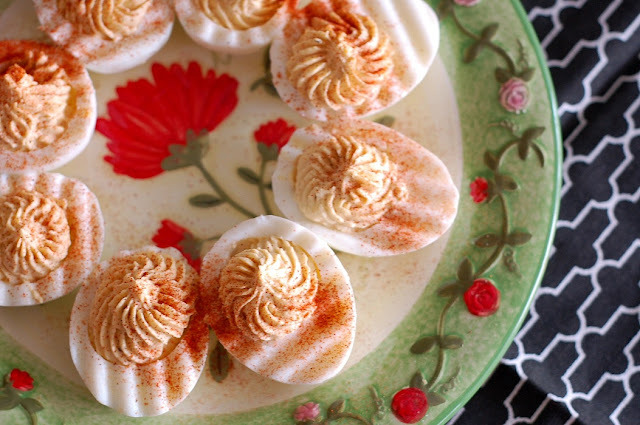 Hubby loves deviled eggs--I could make him very happy. 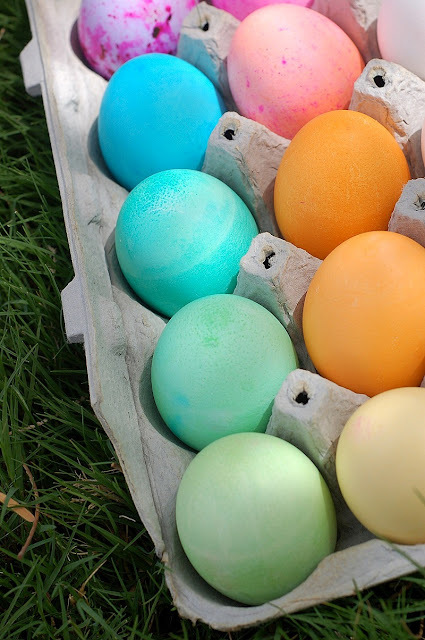 ooh so pretty eggs and delicious eggs! What's a crinkle cutter? I mean, I get that it cuts ripples...but I've never seen one. Anon- a crinkle cutter is a little wavy blade with a handle. It's great for decorative cuts (I usually use mine to cut cucumbers for platters or things like that). If you click on the link to crinkle cutter you can see a picture, and I'll repost it here. I guess I'll have to make it a Wednesday Want, it's a fun little gadget!